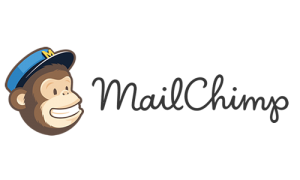 MailChimp is one of the most popular email marketing tools you can use. The creators of OptKit have extensive experience and highly recommend it for anyone who’s looking to get started with email marketing. That’s not to say you can’t do extremely complex things, with their Automations and transactional tool Mandrill.. They also have their own simple form builder. But what happens when you want to try a new idea, that the simple form builder won’t let you do easily (without the help of your developer)? OptKit can help you craft unique solutions to your unique problems. Collect emails and build your lists with scientific accuracy (within budget), while the rest of your competitors are using clunky or expensive methods. *Important* It won’t work unless you have the right datacenter for your account. Find your MailChimp Account’s datacenter by logging in, and taking notice of the URL once your are logged in. Once you have the correct information added, you’ll see a list of all your MailChimp List’s. Adjust your Kit form to have the required MailChimp fields of email, and optionally the FNAME and LNAME text inputs. You’re now ready to build your lists using OptKit’s technology and MailChimp together. You can find other details on our documentation page here.